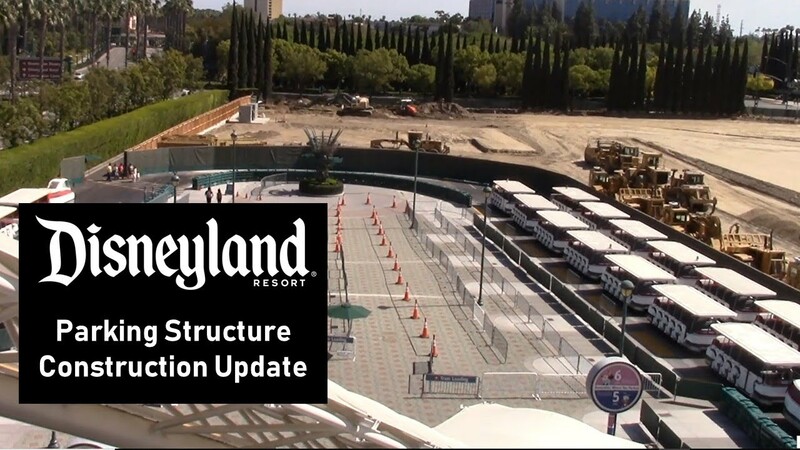 A new SILA video taken Thursday 4/19/18 viewing the SWGE construction from the M&F parking structure. Rectangular rust colored panels have now been installed on the exterior walls of the BE show building...must be to visually break up the very large walls when viewing from the back. I have a feeling those panels are for sound suppression. With all the noise coming from the traffic going into M&F, a flat wall would reflect a ton of noise. Breaking it up with panels like that probably minimizes that. Just a guess. I just hope they leave enough room to get that thing out! I mean, I'm sure they know what they're doing, but the escape routes seem to be narrowing. I wonder if the tracks of the crawler can be removed to make it narrower? Or maybe they just hoist it out? 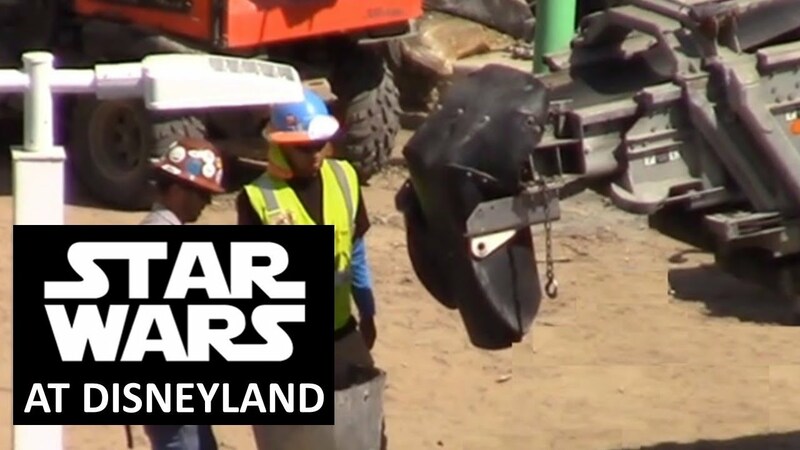 They can pretty much assemble/disassemble those things on-site, if necessary. However, there is still that exit road between the BE and MF buildings. Though I'm not sure if it's wide enough to accommodate that big crawler. I'm thinking that they are poster frames. They could serve a double purpose, of course. Does anyone know why the outer walls aren't level on top of the Battle Escape building? I see this obvious bend in the borders that were added, although I can't remember if this curve is attributable to them or to the roof itself. The roof has that bend. Not so much a bend as a downward angle, to be specific. It probably has to do with the fact that the front of the building supports sloped rock work and it just works better to have part of the roof angled down to follow the angle of the rockwork that will sit atop it. I think it's probably mostly for runoff/drainage purposes. 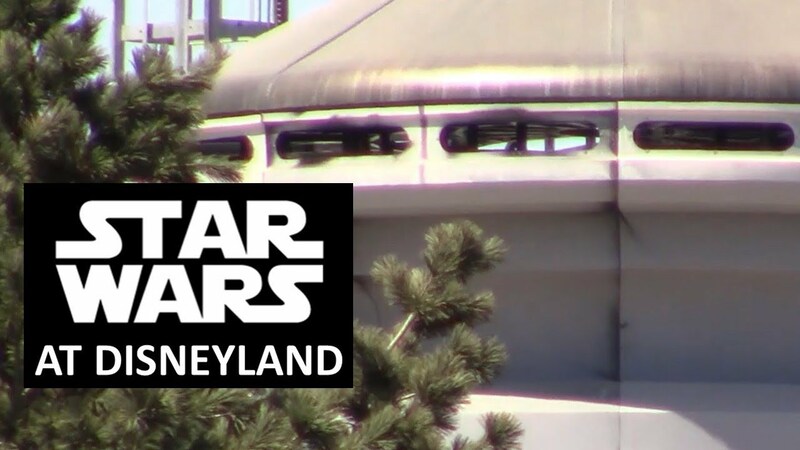 Also, LMG Vids has a video of the new queue AND a video of the back of the queue from the Casey Jr.
As others have said, the roof is peaked for drainage. If you go back to the steel frame photos, you can see it easily. 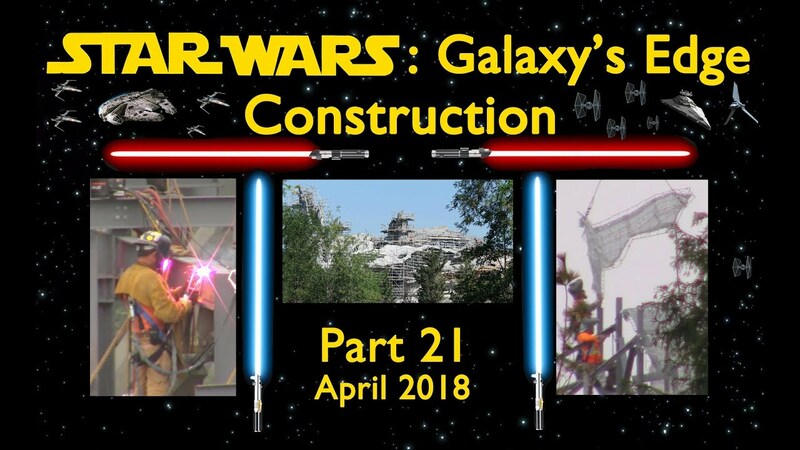 The latest installment from Yensid 55 documenting the SWGE construction progress for the month of April 2018. Another great video from Mark and his daughter Megan. It's amazing how much the construction crews can accomplish in just a single month. 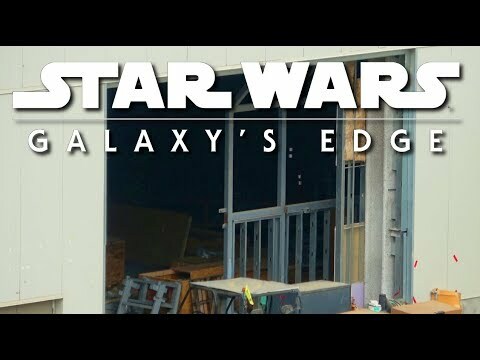 This video shows the development of Star Wars: Galaxy's Edge (aka - Star Wars Land) at Disneyland during the Month of April 2018. Last edited by Hammer; 04-29-2018, 11:37 AM. We're planning a trip to the parks for the first time in 5 years and I had seen the rumor about fantasyland theater being possibly removed? Is it still there? Any plans to remove it? Still there, still doing shows, so you're good! So far, there are no publicly announced plans to remove it, so take that as a good sign that it's not going anywhere any time soon. 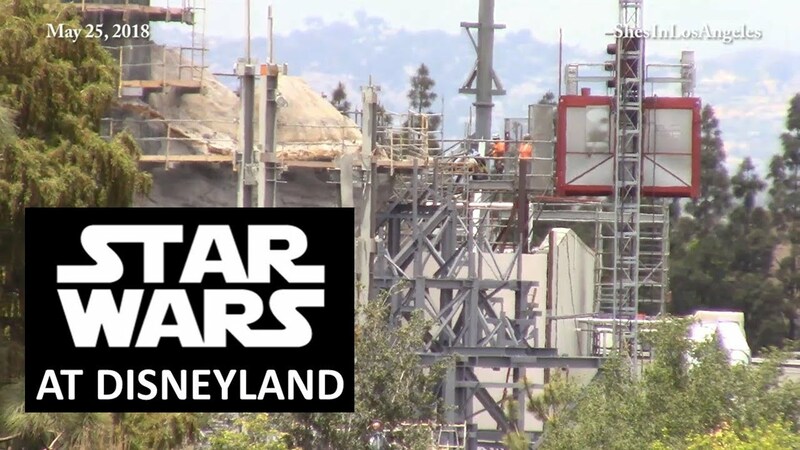 If they do decide to remove it to make room for a Fantasyland expansion, it will likely be a big announcement. Oh that's wonderful! I'm glad it's still there. It makes for a nice break in the middle of the day, to be able to sit down in the shade and watch a show. I don't recall ever watching a show in that theater. I do wish that they could add a couple more sit-down diversions, again, throughout Disneyland. (I really miss America Sings.) From what I've heard, the last really good show in the Fantasyland theater was Snow White, which closed several years ago. A new SILA video taken yesterday 5/25/18 viewing the SWGE construction from Tarzan's Treehouse. More steel support structure for rock work is being installed on the MF side of the site.